Have you heard people say they have been looking for houses and that some of them are vacant and some of them are staged? Or have you heard an agent get all excited because one of their listings is staged? Have you had an agent at some point tell you or one of your friends that their house would sell better vacant? So is it better vacant or staged? Hearing that your house would be better vacant is not an indictment of your furniture! Sometimes it is a signal that your have too much clutter and buyers can’t see around your belongings. Or perhaps your furniture is really big and the agent feels that potential buyers won’t be able to see how big your rooms really are. Buyers are funny and often can’t visualize how their things would fit into a house and the current owner’s things just get in the way of the mental space of the buyer. On the other hand, some buyers can’t visualize their things in the house and would like to think that the house will look like yours which is furnished very nicely and the listing agent recognizes this and advises you to leave your things in place. This is the theory behind model homes in new home subdivisions. Developers know that most people looking at the development want to buy the model home because it looks really good and the potential buyer would love to think they could live like that, too! And then, alas, when they move in, their own belongings don’t look like the model at all! So “vacant or staged” in new homes is an easy one to answer. So, vacant or staged? 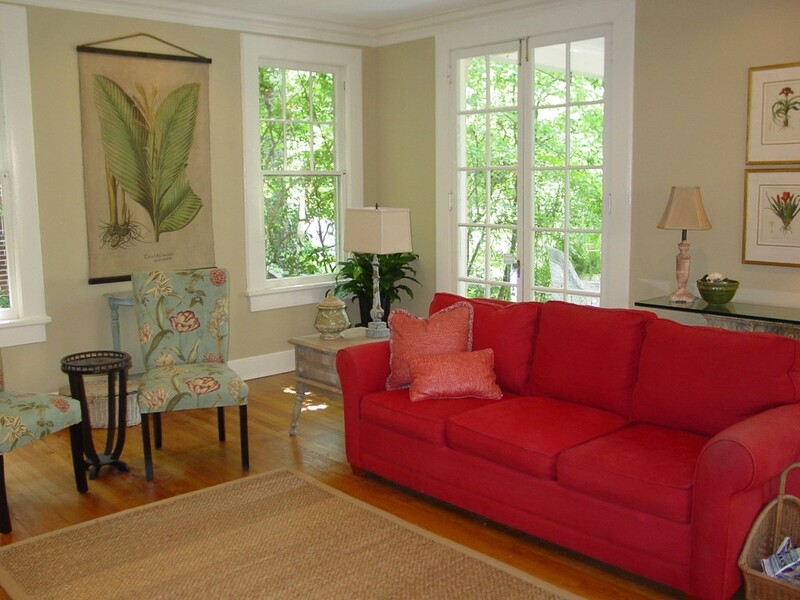 Here is an example of a staged living room. The owner had been renting to a group of college boys when she decided to sell. When they moved out she painted and brought in furniture to show off the features of the vintage house in intown Atlanta. Gosa Properties had the house Under Contract in under a week!